I’m detoxing this week. I’ve been eating so much junk that I’m actually looking forward to eating veggies! I’m not a huge fan of the typical detox diet. You know, the kind where you only drink juice for a month, eat only fruit for a week, or take some sort of supplement to flush out your liver or colon or whatever organ seems to be clogged up with toxins? I just think that all sounds ridiculous. The human body is designed to detox itself as long as you feed it properly. (Obviously, there can be some medical conditions and circumstances in which this isn’t true, but it’s generally the case for most healthy bodies.) I just want to get back to the basics and set myself up for a season of healthy eating. So I’m not really detoxing as much as I’m cleansing. Cleansing my palette, my mind, and also my body. 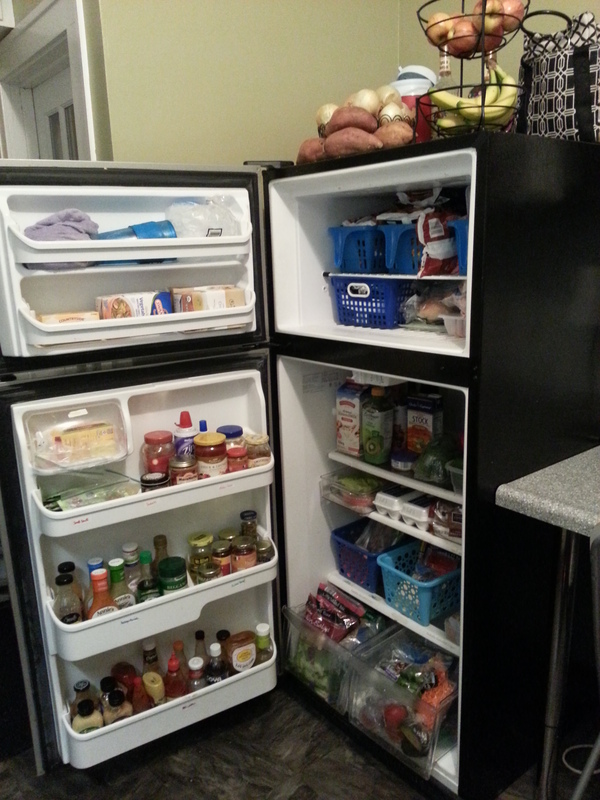 The fridge and freezer are all stocked with fresh produce! 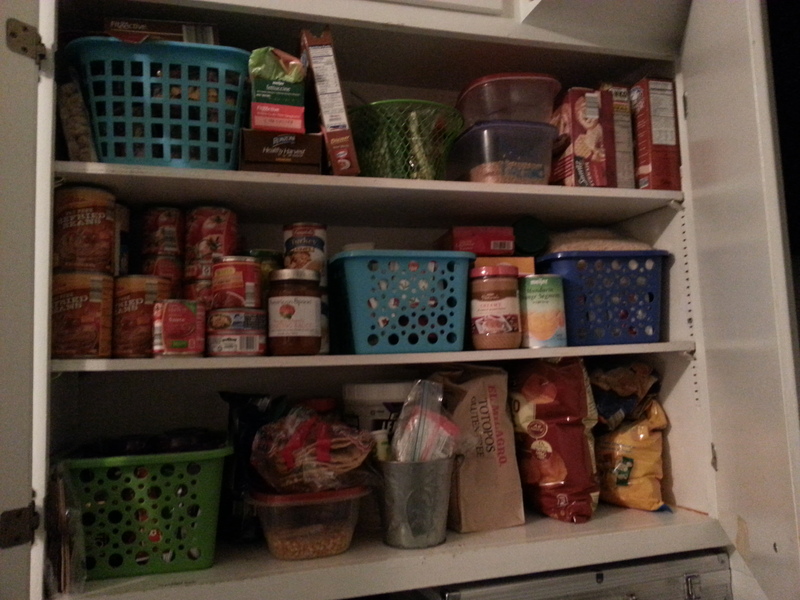 Pantry cabinet with tons of canned beans and tomatoes, whole wheat pastas, nuts, and Larabars (in the green basket). My ADD has gotten really bad lately. I haven’t been sleeping well and my energy levels have been low. My acne-prone skin was looking really nice, but in the past 3 weeks has broken out a ton. I’d rather spend my money on cute summer clothes than on snacks and candy. After the full 7 days is up, I hope to keep up with phase-2-type-eating but add in a little bit of sugar. I’ll probably allow myself 100 calories or so a day of chocolate, alcohol, or other sweets each day. I figure I can save up those calories if I choose too. Sometimes we go out for dessert, bake cookies, sneak candy into the movie theater, or get drinks on the weekends. I’m not going to cut all of that out of my life! I know I don’t need to enjoy those luxuries every evening. Really, I think this will be a successful challenge. I hope you’ll stick around to see how it goes. I’m sure I’ll need support to stick it out. Have you ever tried a detox diet? What was it and how did it turn out? ← An Ode to Spring Wind.